AWNY Mums & Bubs January Update: Happy New Year!! Many of you will be enjoying some sun and a slower pace of life with family and friends back in Australia over the holidays. For those of us in New York, a cooler Christmas is definitely something special. And while I’m a little disappointed we didn’t have a white Christmas, I’m very happy with the milder temperatures. It’s so easy to leave the building without spending 20mins dressing myself and two little ones for the cold weather! 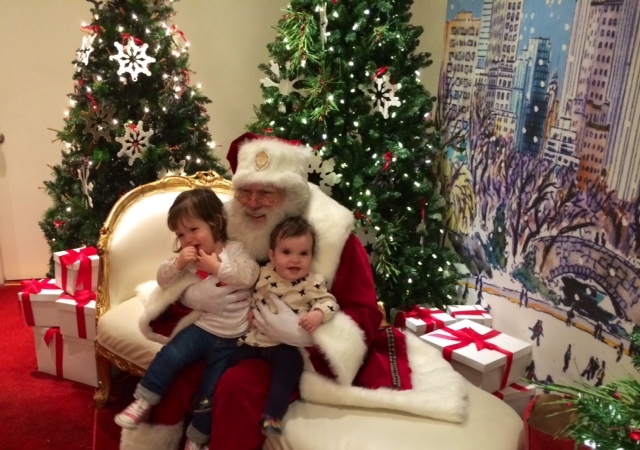 We took the girls to see Santa at The Plaza Hotel on Christmas Eve. Sophie loved it but Emily’s still not a fan. Tomorrow we’re taking Emily and her grandparents to see the Radio City Christmas Spectacular – I can’t wait!! As I reflect on the past year, I have mixed emotions about our time in New York. While the restaurants, shows, shopping etc are lots of fun, it’s certainly not an easy city to live in with a new baby and toddler. But this city of extremes also provides moments of kindness from strangers like no other. There have been days when I’ve been exhausted, or felt invisible pushing the double stroller, and then someone will open a door for us, offer to help lift the stroller, or just smile at my girls and say “god bless” and the day seems a whole lot brighter. It’s also a city that constantly reminds me to be grateful for what we have as so many people are really doing it tough in NYC. I’m very grateful to have met so many wonderful Mums through our group this year. It’s great to have a network of other women who have similar attitudes to life and in particular, parenting. 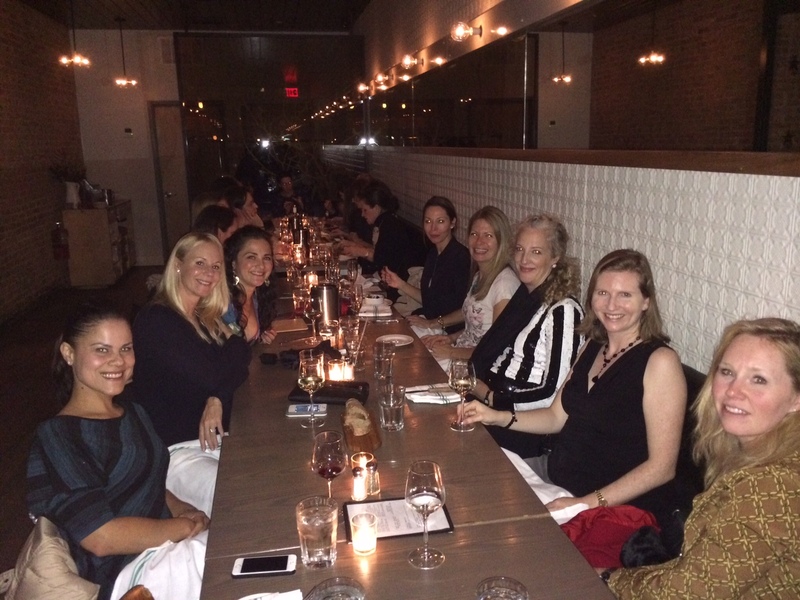 We had a fun night out at Spring Natural Kitchen on the Upper West Side at the beginning of December; fantastic turnout with 25 of us catching up over a few cocktails and some yummy food! The next dinner will be late January when most people are back in the city – details on our Facebook page soon. I look forward to catching up with many of you at our January dinner. In the meantime, wishing you all a very happy and healthy 2015!